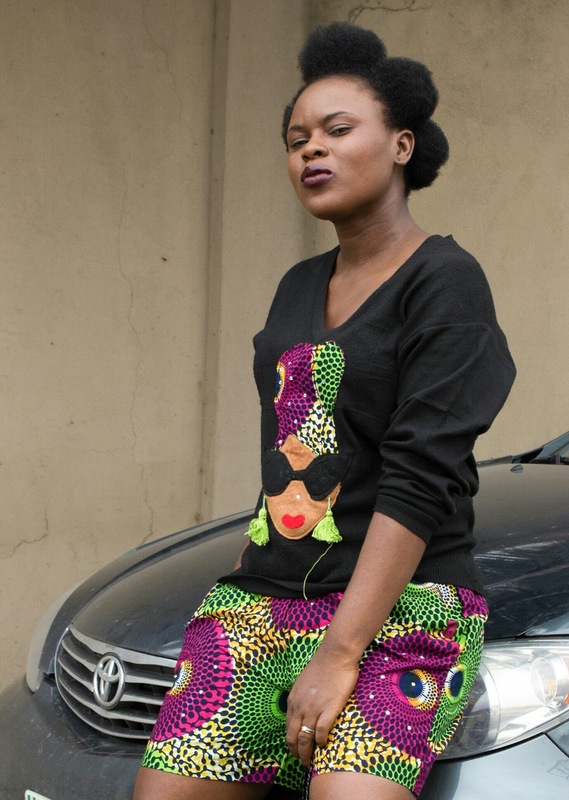 CHECHESMITHNATION : I Stepped Out Today Rocking My Sweatshirt And Print Short Set By Tribal West Lagos! 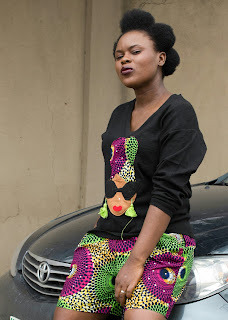 I Stepped Out Today Rocking My Sweatshirt And Print Short Set By Tribal West Lagos! I love dressing fun and comfy all day. Not a fan of boring, unfashionable looks, so today I stepped out clad in this chic roll-up sweatshirt and short pair by Tribal West. I love the artistic print featured right in front of the sweatshirt. Now, gone are the days when sweatshirts were much masculine, and reserved for the gym. These days, sweatshirts are now seen as a style piece. One can stylishsly vamp them up i.e you can go from that boring look situation, to a really super cool and fun look with your sweatshirt. This look to me is so fun, I am in my space, and a lot relaxed here. You too can rock your own sweatshirt and not let it bore you. This sporty chic top can be transitioned & paired in different ways - be it when you are dressed down or dressed up.